Introducing the Hoover DXC58W3 Washing Machine 1500rpm 8kg in white. The quick wash programme featured on the Hoover DXC58W3 washer allows fast cleaning of smaller loads; ideal for when you're in a hurry. 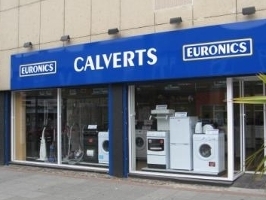 This Hoover washing machine is an exclusive Euronics agency product.